There is zero doubt in my mind that 2017 will go down in the journal of my life as one of the most amazing and event filled years ever. My Walt Disney World planning sessions, my Alice in Wonderland themed shower, and my amazing Malibu bachelorette party that culminated in a trip to Disney’s California Adventure were all magical stops along the road leading to my December 2nd fairy tale wedding at Disney’s Wedding Pavilion and Disney’s Grand Floridian ballroom. I cannot say there were not a few potholes along that road. 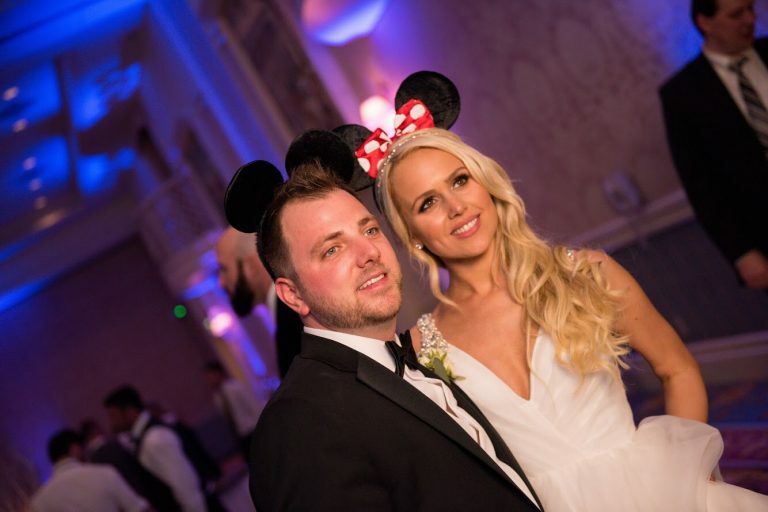 The biggest was Disney switching my wedding planner. The new wedding planner was basically a stranger and not nearly as accommodating as the first. The three weeks leading up to my wedding trip were just about as stressful as they come. Once everything was ironed out with my new planner, the excitement took over. Tip: If at all possible, try to retain the same wedding planner during your entire planning period. 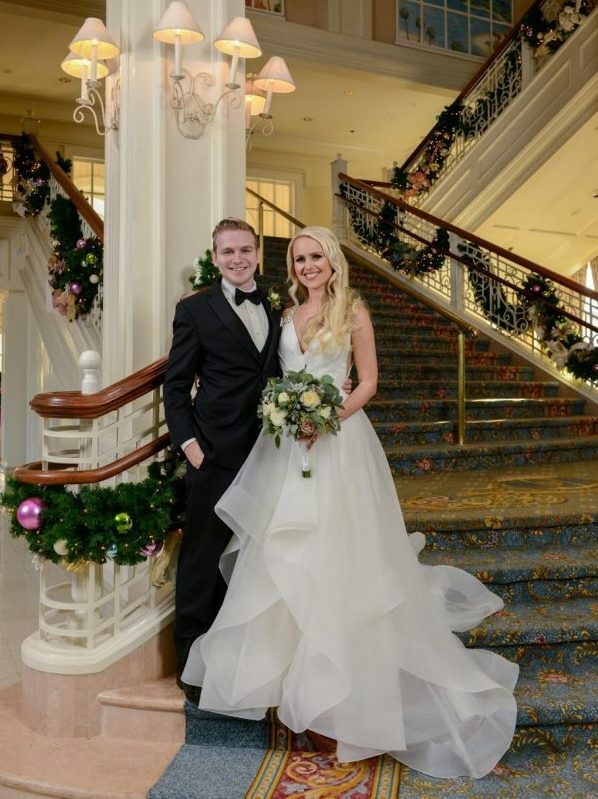 We left for Walt Disney World on Wednesday, November 29th with my wedding dress in hand and sheer joy in my heart. 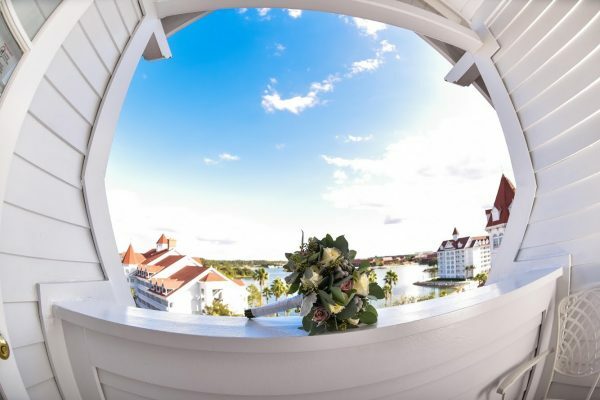 My fiancé and I checked into Disney’s Grand Floridian Hotel in the Victorian Suite. It was absolutely breathtaking. 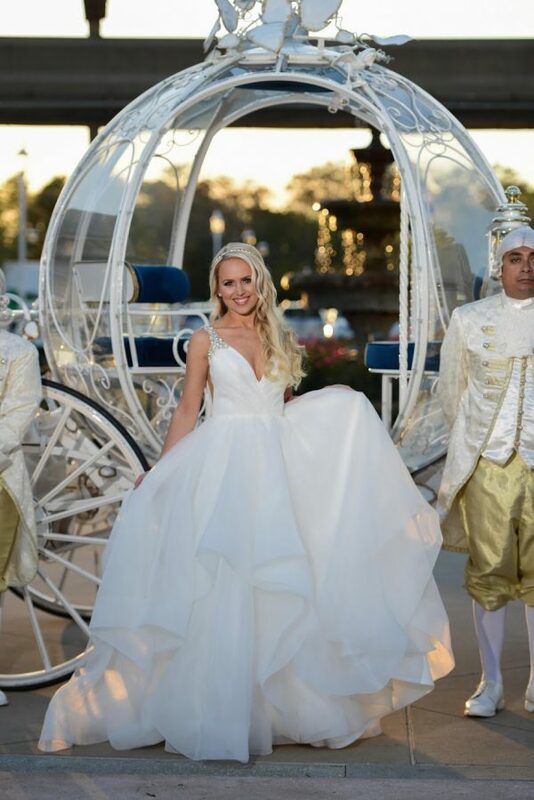 I felt like a real life princess the moment I stepped inside. I even had my own personal Christmas tree! Tip: Stay in a suite, if you can! 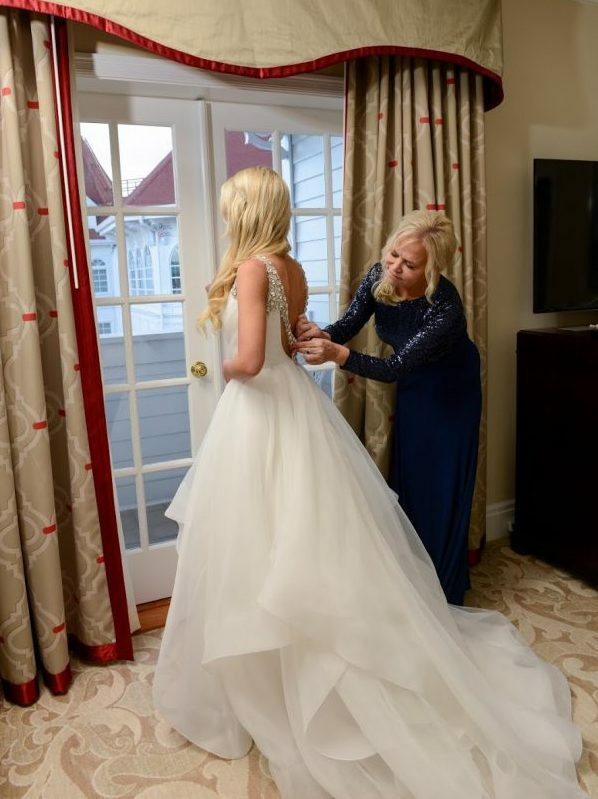 The Victorian suite was the perfect backdrop for my getting ready photos and was much larger than the dressing room inside the conference center. My parents, brother, and sister arrived about an hour after we did. The men all went to Magic Kingdom, while my mom, my sister and I headed over to Franck’s Studio for an in-person meeting with our wedding planner. We sat down for about an hour and went over all the specific details of the rehearsal dinner, the ceremony, and the reception. It’s extremely important to go into this final meeting prepared. I had written down a specific timeline of my wedding day events and wanted to make sure that everything would go as planned. I am Greek Orthodox and wanted to add elements of my religion into my ceremony. After a good amount of persuasion, my wedding planner agreed. I was permitted to add the traditional crown ceremony and bring wrapped, as well as Kourabiedes, the traditional Greek wedding cookie, to the reception. 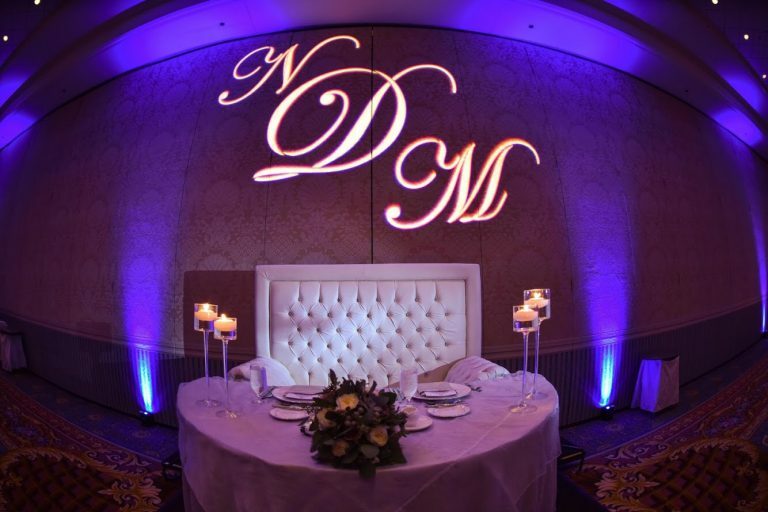 Tip: I feel it is vital that brides be firm when it comes to the details of their wedding. It is your one special moment and you would not want to regret not making it exactly the way you envisioned. The next day was filled with park hopping and meeting up with friends and family. By Friday morning it felt like I was hosting a giant Disney reunion. Much to my surprise, I had very few guests that couldn’t make the trip. Our final guest count was 185! Everywhere we went we ran into family and friends. The weather was absolutely perfect, the holiday decorations were gorgeous and the crowds were manageable. The first two weeks in December are the perfect time to tour Walt Disney World! 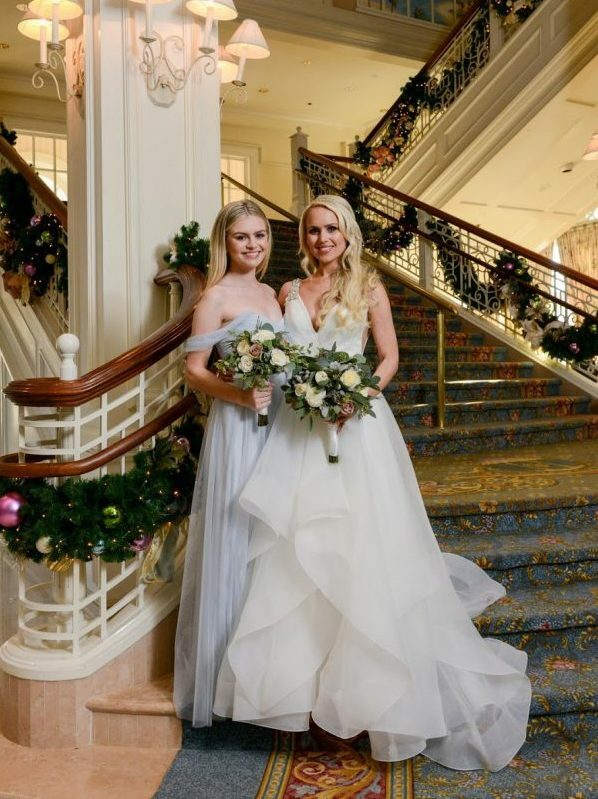 On the night before the wedding, the bridal party met in Salon 3 of the Grand Floridian Convention Center at 5pm for the rehearsal. 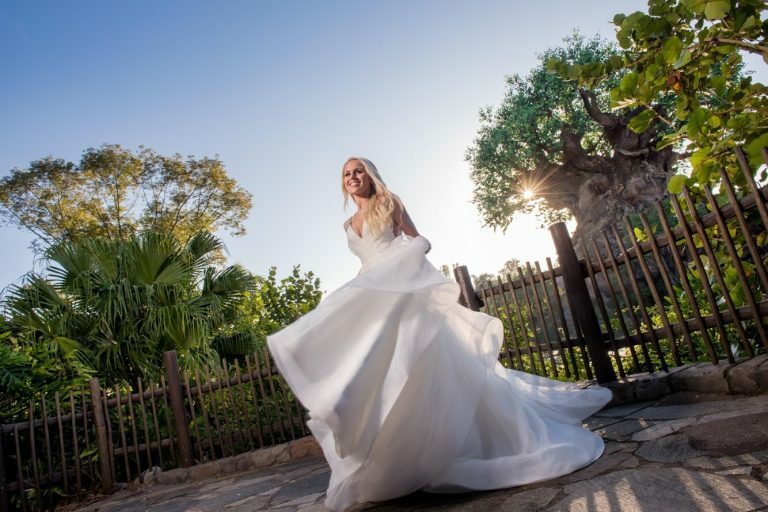 Tip: Brides should be aware of the fact that their wedding venues are popular and will probably be in use when it comes time for the rehearsal, so you may have to have your rehearsal in a different spot. 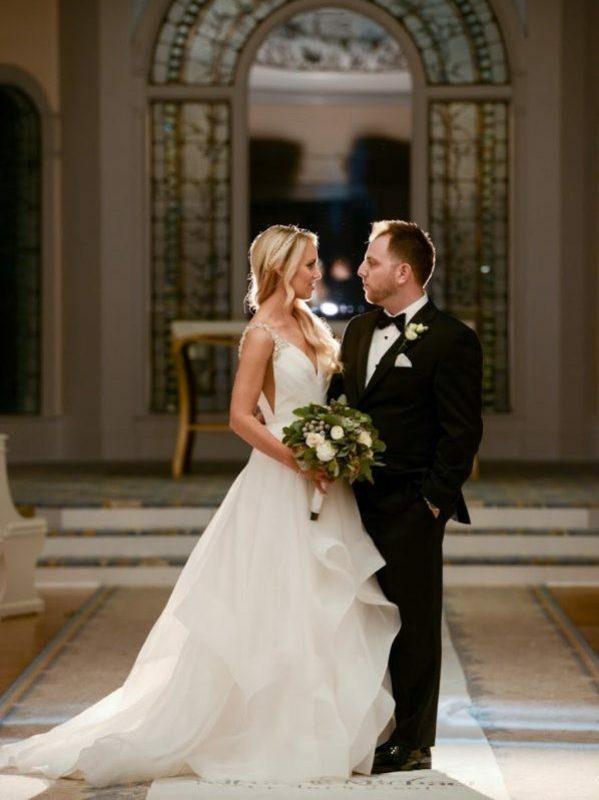 Our wedding planner had the room perfectly set up and the rehearsal was quick and easy. Everyone then made their way over to the Spirit of Aloha dinner show at Disney’s Polynesian Resort. Amazing friends, family, entertainment, and food made it the perfect rehearsal dinner. Tip: Brides should know that they don’t have to have their wedding planner book the rehearsal dinner. It can be far less expensive to call Disney dining and book it yourself. 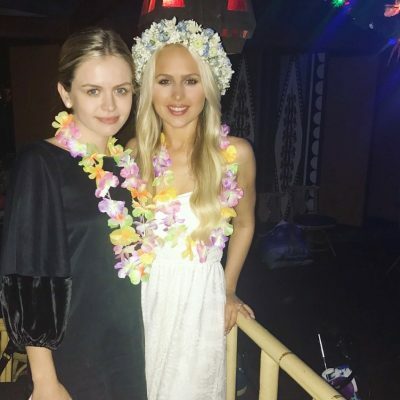 They are always eager to assist in booking large parties. After the dinner my mom, flower girls, bridesmaids and I went straight up to the suite. 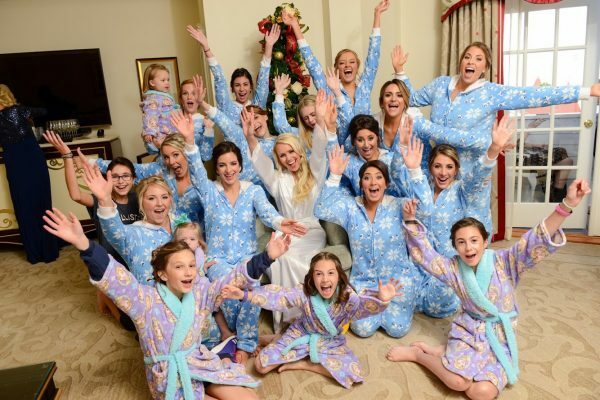 I gave each bridesmaid an Olaf onesie to wear that night and a pair of earrings to wear for the wedding. Each flower girl received a “Frozen” robe. My mom, sister and I then said goodnight to the girls. We knew we needed to be well rested for my big day. Disney’s makeup and hair crew arrived at 8:30 am the next morning. 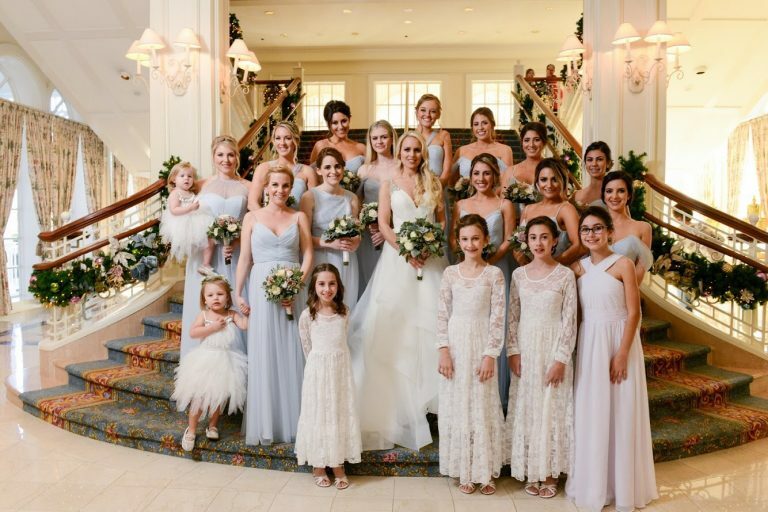 I had a huge bridal party and scheduled my girls to arrive at specific times. It kept the morning quiet. 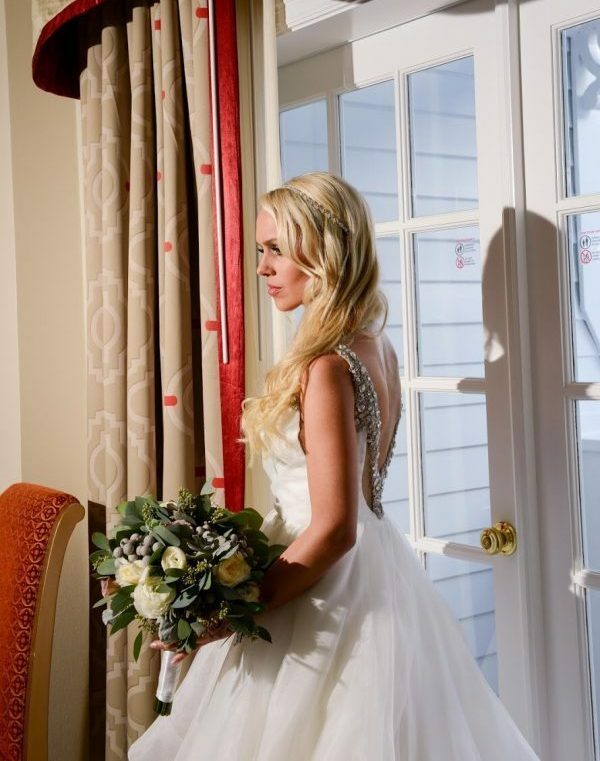 Tip: I would recommend that any bride with a considerable amount of attendants stagger the getting-ready times. I would also recommend that the bride be last to have her hair and make-up done. I scheduled mine an hour before the photographers arrived. 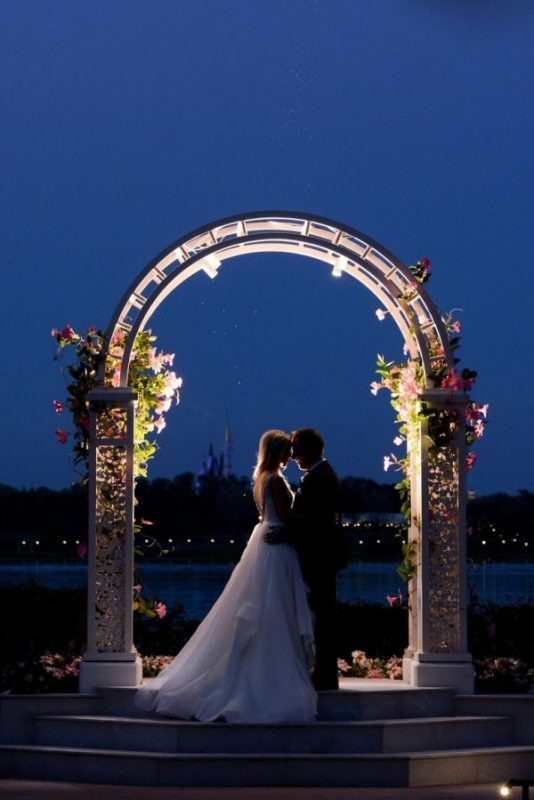 The photographers from Disney’s Fine Art Photography were absolutely amazing. They truly went out of their way to capture every detail. They also made sure that my fiancé and I would not cross paths before the ceremony. Many couples do a “first look” I wanted our first look to occur when I was walking down the aisle! Tip: Go with Disney’s Fine Art Photography! Before I knew it, it was time for me to make my way to the Wedding Pavilion. I walked outside of the hotel and found Cinderella’s carriage waiting for me. 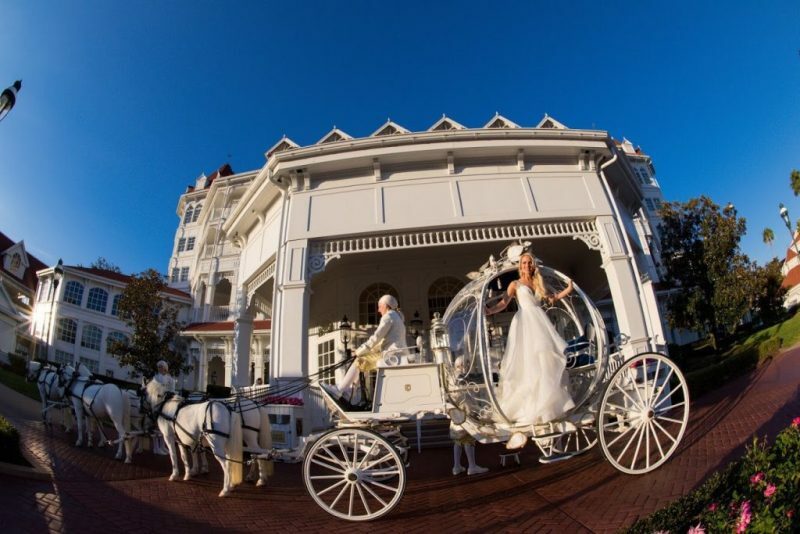 The weather was perfect and one look at that beautiful carriage brought tears to my eyes. My parents accompanied me on the ride. We were last to arrive at the Wedding Pavilion. My mom took her seat inside as my father and I prepared for my walk down the aisle. The harpist was playing a medley of Disney love songs. When she began to play “Can You Feel the Love Tonight” from Disney’s The Lion King, it was our cue to begin the processional. The ceremony lasted approximately 30 minutes and was absolutely beautiful. 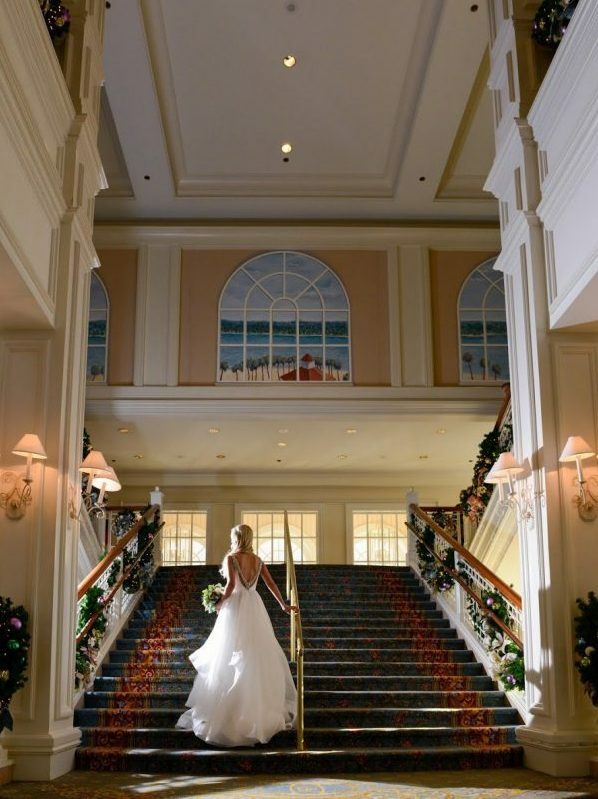 The Wedding Pavilion is just exquisite. I would highly recommend that any Disney bride-to-be schedule a tour so you can see it for yourself. 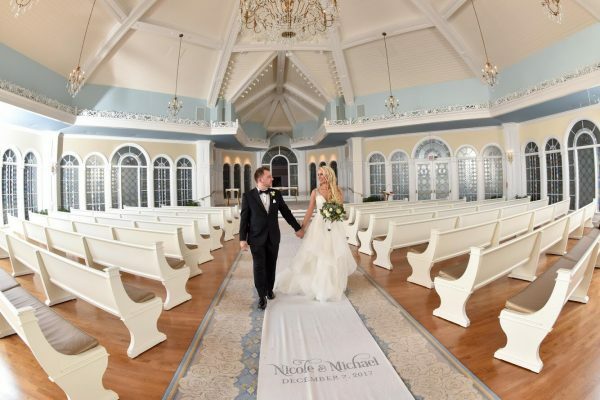 Tip: You won’t regret booking the Wedding Pavilion for your ceremony! 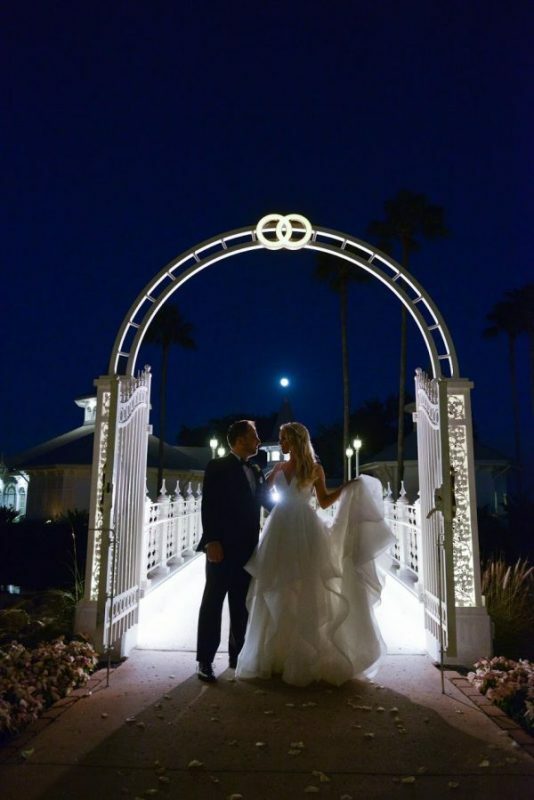 After the ceremony, just as the sun was setting, our guests lined up on either side of the bridge that connects the Wedding Pavilion to the hotel property. Walking over this bridge is symbolic of walking into your new married life. 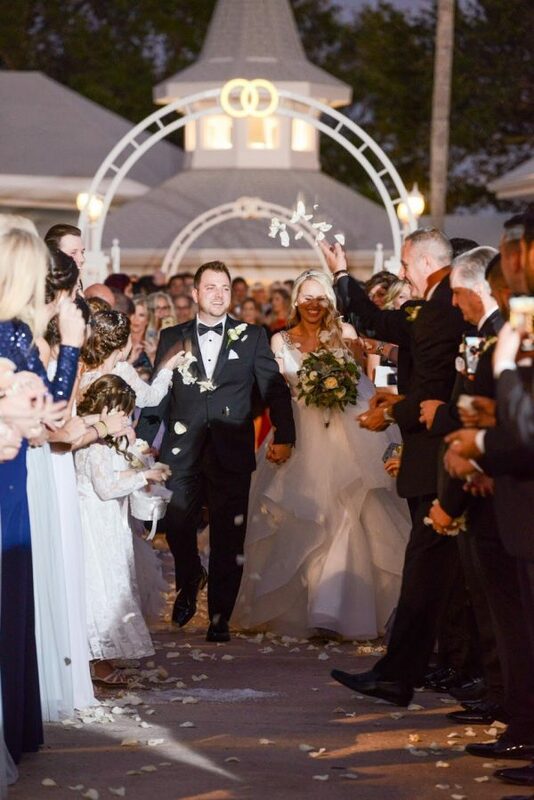 Our guests showered us with white rose petals and cheered as we crossed over the bridge. 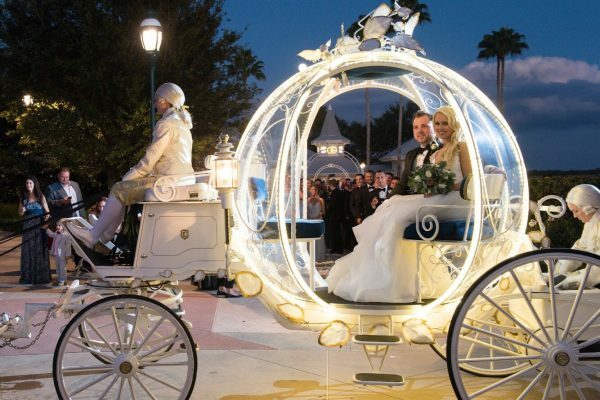 Cinderella’s carriage waited for my husband and I while we took photos with the bridal party. 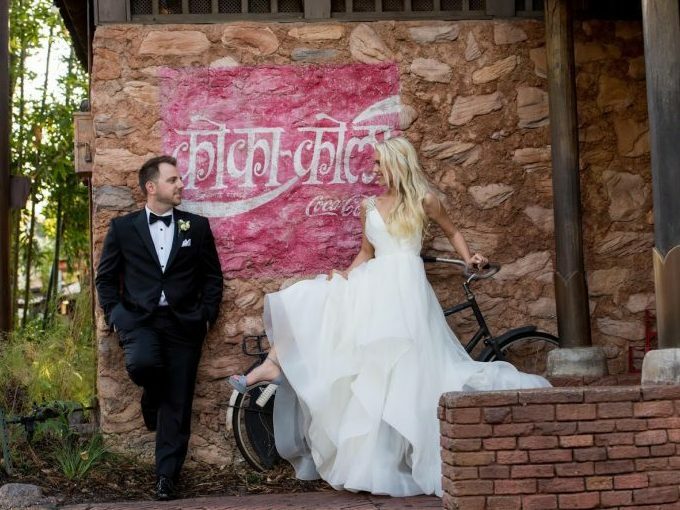 While we took our photos, our guests headed over to the ballroom for an indoor/outdoor cocktail hour. The outdoor patio is beautiful and provides an amazing view of Cinderella’s castle. Once Michael and I arrived at the reception venue, the bridal party lined up outside of the ballroom. Each member was given a top hat and had been asked to plan an extraordinary entrance. The doors opened to the sound of “Friend Like Me” from Disney’s Aladdin. After our parents and each member of the bridal party danced their way in, the guests were asked to stand. Much to the surprise of those in attendance, my husband and I came in rapping to “Be Faithful” by Fatman Scoop. The entire room burst into laughter. Tip: I would recommend taking a few ballroom dance lessons before the wedding. We did and it really paid off. We actually got a standing ovation! I have to give Disney’s Grand Floridian Hotel a perfect 10 on food preparation and service. Both were extraordinary. We spent the next few hours eating, drinking, dancing, and just having the time of our lives with family and friends. We had arranged to have a photo booth with Disney props. To me, this was a must. The guests really loved it. 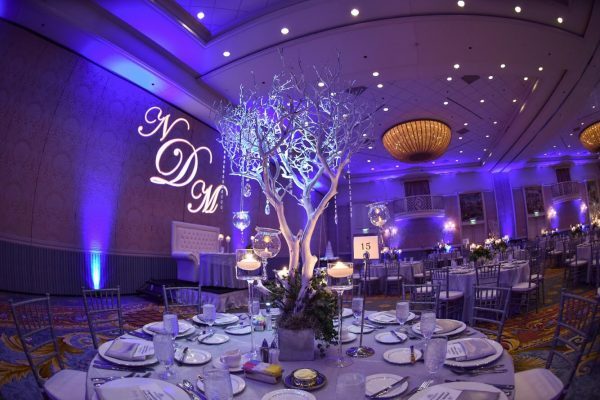 The room decor was absolutely perfect. 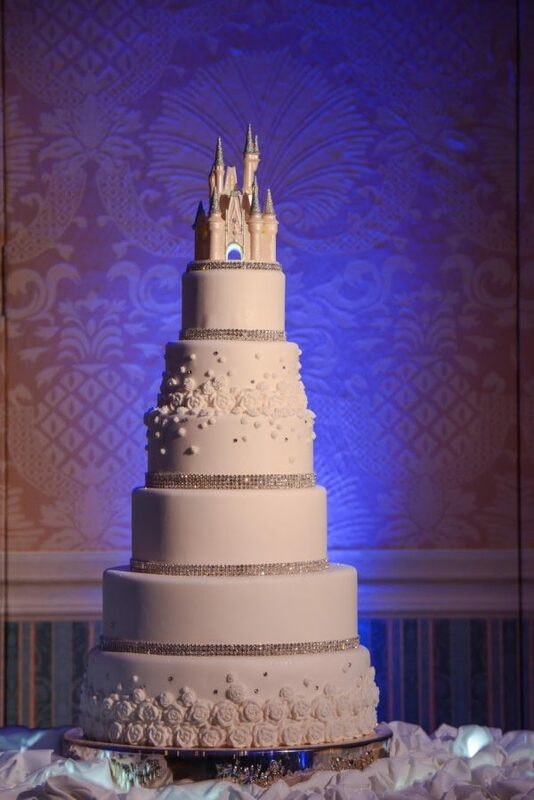 My wedding cake was gorgeous. Our DJ, Vinny Vinsane (from The Bachelor), was incredible. He played Greek music, Disney classics, and all our favorites. I gave him a precise play list the week before. The DJ was prepared to play everything we requested, along with tons of requests from guests. Tip: I would recommend being as specific as possible when it comes to the music on your wedding day. It really does set the tone of the celebration. We ended the night hanging out with close friends and family before retiring to the Victorian Suite. The next morning we had a two hour portrait session in Disney’s Animal Kingdom; it was incredible. All my friends kept commenting on how relaxed and happy I seemed throughout everything. 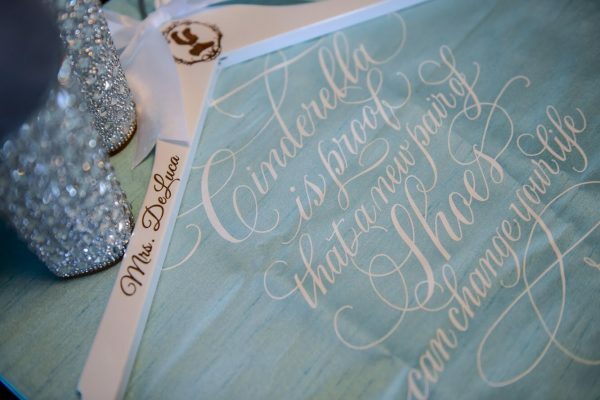 There was simply not an ounce of Bridezilla. How could there be? 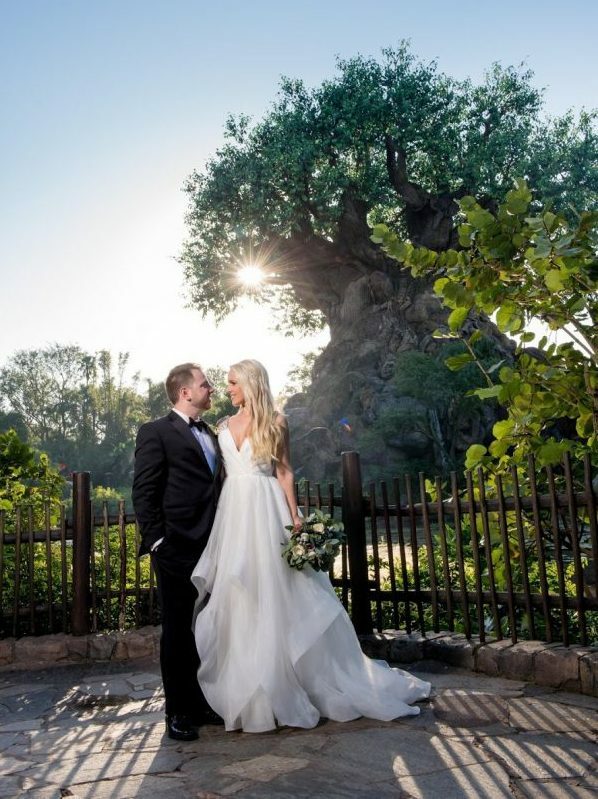 I was living out my wedding dream in the most magical place on earth.